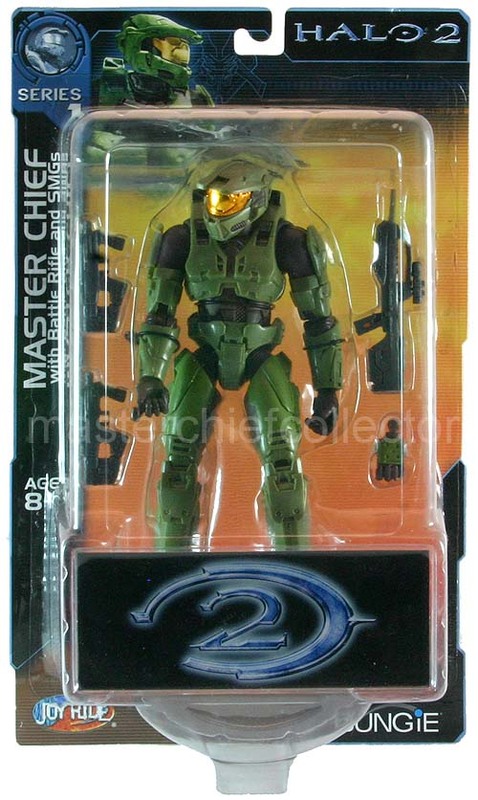 Do You Have Any Halo 3 Action figures? 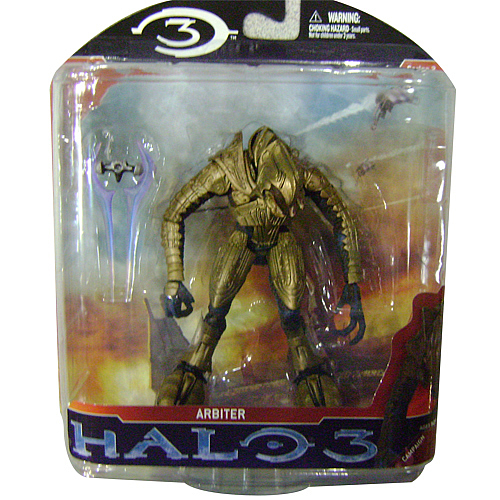 What Halo 3 Action Figures Do You Need? 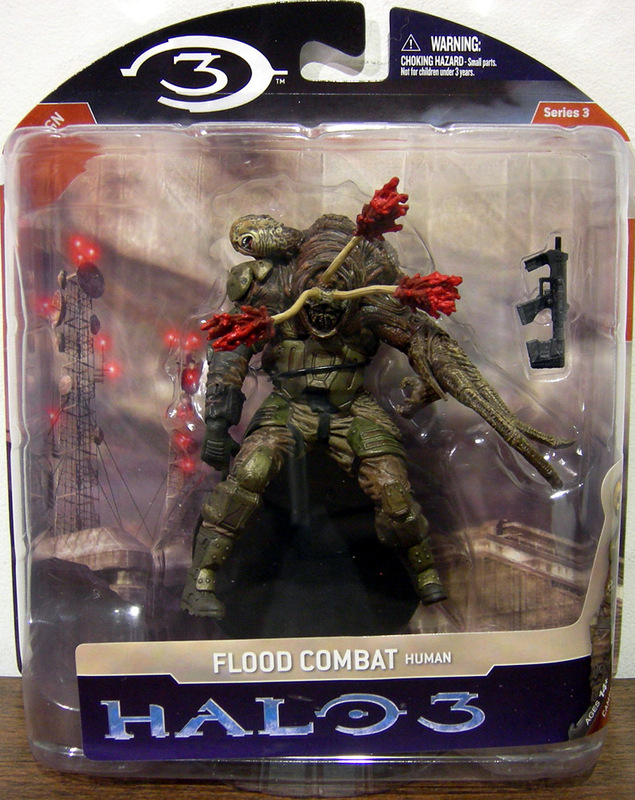 McFarlane released their first Halo 3 action figures in March 2008, some six months after the release of the third game which topped media sales records. They were an immediate and immense success with fans. Despite their market success and popularity among fans and collectors Joyride Studios were eventually replaced as license-holder in 2008 by industry giants McFarlane Toys. This was probably due mainly to the distribution problems Joyride Studios were having whereas McFarlane could guarantee getting the figures to all the major high street stores and be able to keep up with the demand. 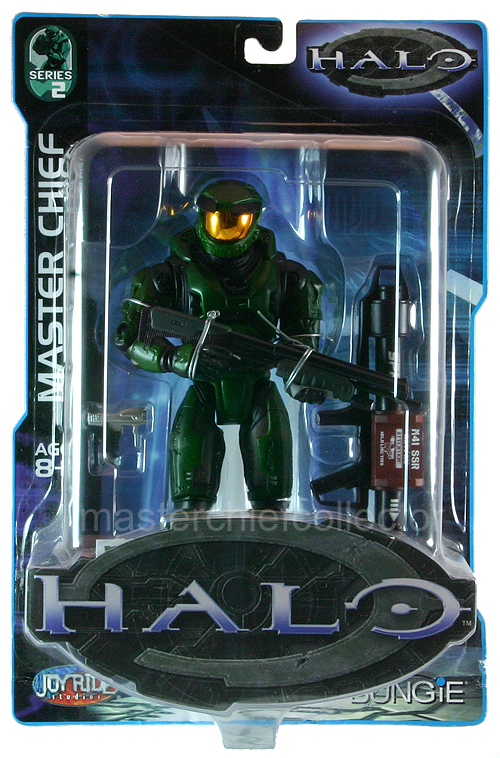 The first series featured a five-inch Master Chief with most of the corresponding figures hitting appropriate sizes for display and play (for example the Brute Chieftain is seven inches high, towering over the already tall hero). 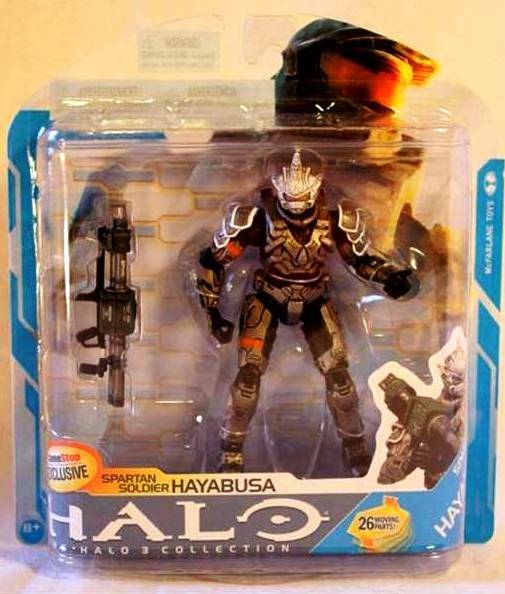 Chief and his companions had 18 points of articulation and possessed the feature of removing shoulder, and chest armour and their helmets to mix and match the various Spartan looks and emulate the customisable multiplayer character creation in toy form. There were eight regular figures in this series along three exclusive figures, but as the game and figures became more popularly each series' became bigger, sometimes with as many as 20 figures, including variants. 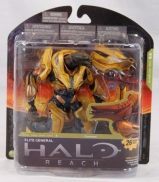 After this there were four more series (5-8) in a larger six-inch scale, marketed alongside the new Halo Reach figure series, again in this larger size. 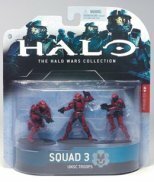 McFarlane released a total of 8 series' of Halo 3 action figures between 2007-2010 as well as numerous boxed sets, vehicles and exclusive figures. Halo 3 is the final installment of the Bungie Studios trilogy that started with Combat Evolved. 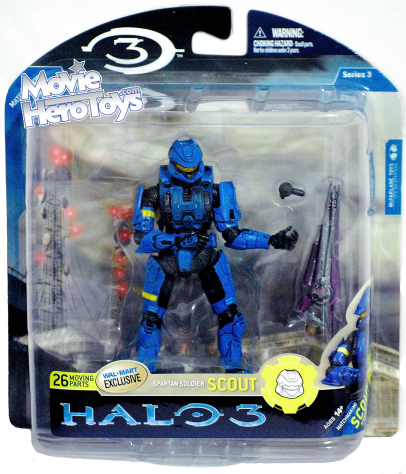 However, there have been several over spin-off games since, such as Halo 3 and Halo ODST. Released in September 2007 the game grossed $300 million on its launch day and was played by over a million people on Xbox Live in its first 20 hours, and by January 2008 it had sold more than 8.1 million games by Jan 2008 and by 2012 more than 11.5 billion games of Halo 3 and Halo ODST had been played. The events in Halo 3 take place about two weeks after the end of Halo 2. 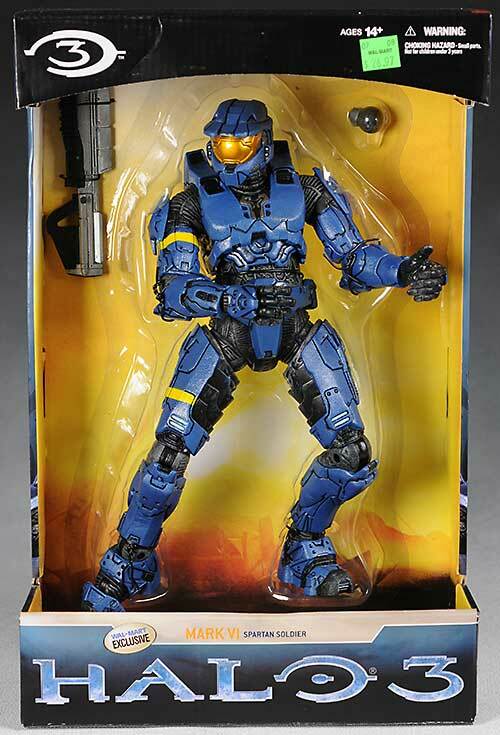 John-117 plummetss to Earth in the East African jungle where he is found by Sergeant Major Avery Junior Johnson. Their mission in this game is to prevent the Covenant from finding and activating one of the Forerunners ancient Ringworlds. For fans of statues, there was also a Legendary line released in 2009 comprising three key character types in dynamic poses. For a long while any vehicles released were in a smaller scale and so once again did not fit the standard figures. Then in 2010 two classic vehicles (Warthog and Ghost) were released under the Halo Reach name. 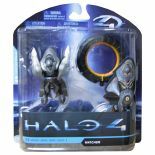 They were in the earlier Halo 3 style five-inch scale. And fit with older figures, effectively giving fans what they had been wanting for years.